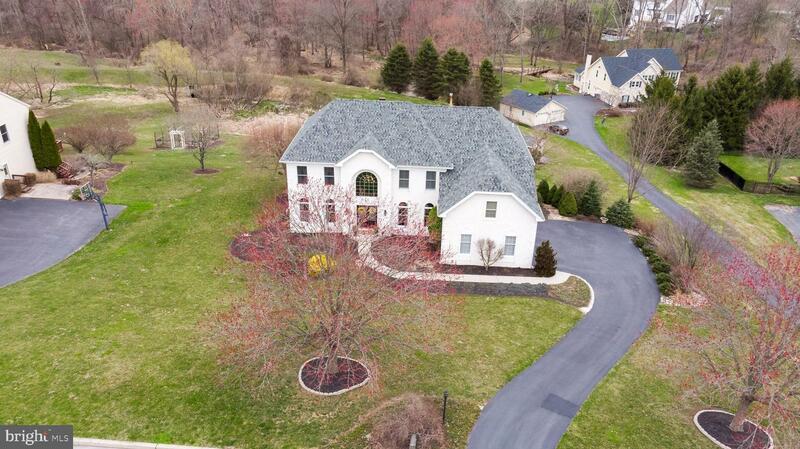 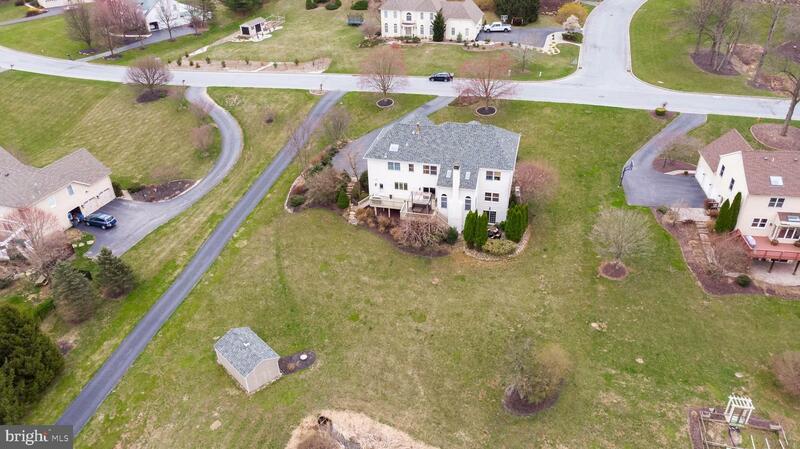 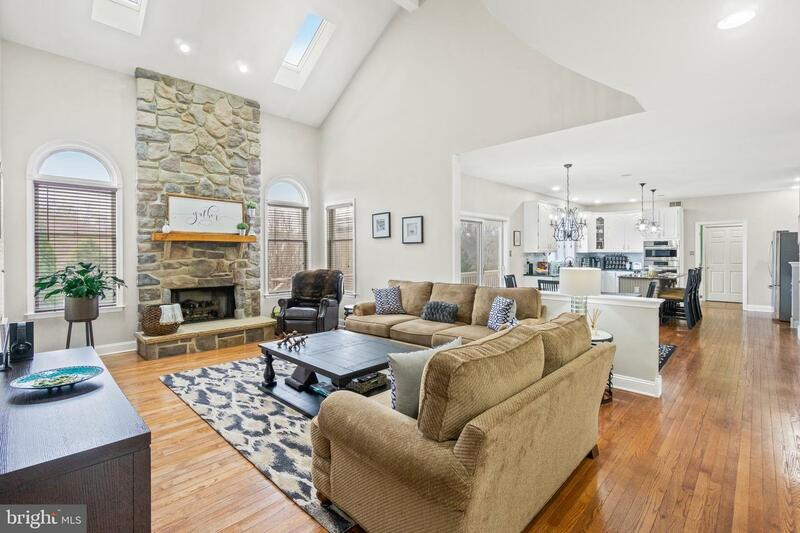 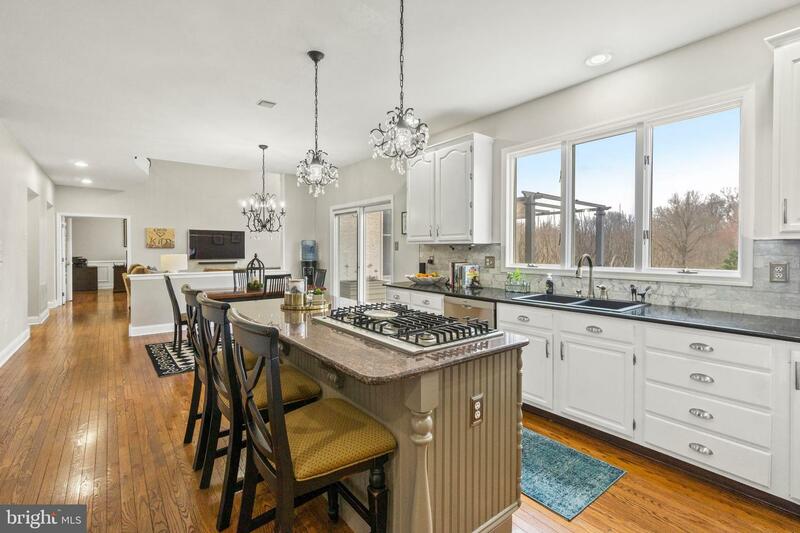 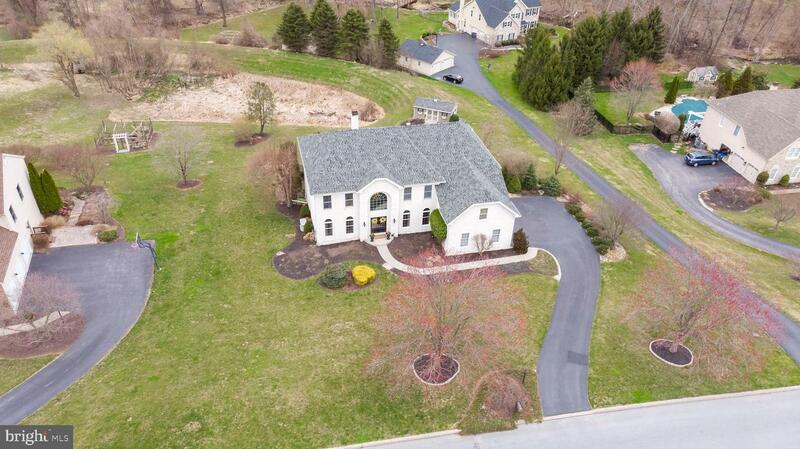 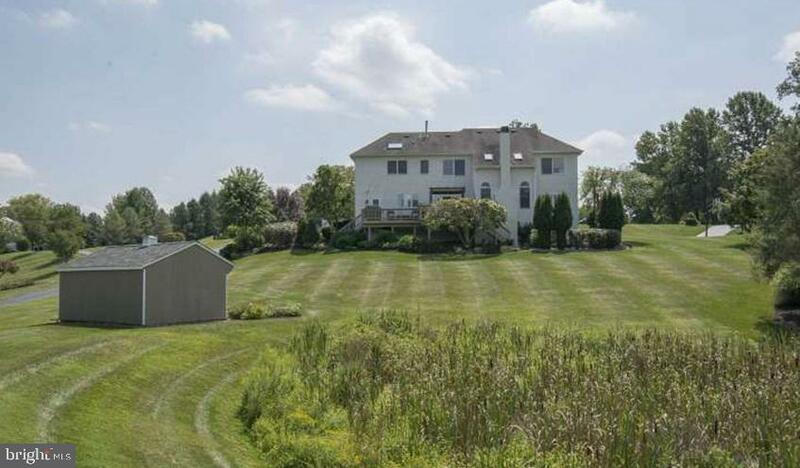 This impeccable custom built 4 bedroom, 3.5 bathroom home sits on 1 acre in the highly sought Lakeridge Development, located in an award winning school district with easy access to major highways and less than a mile to Marsh Creek State Park. 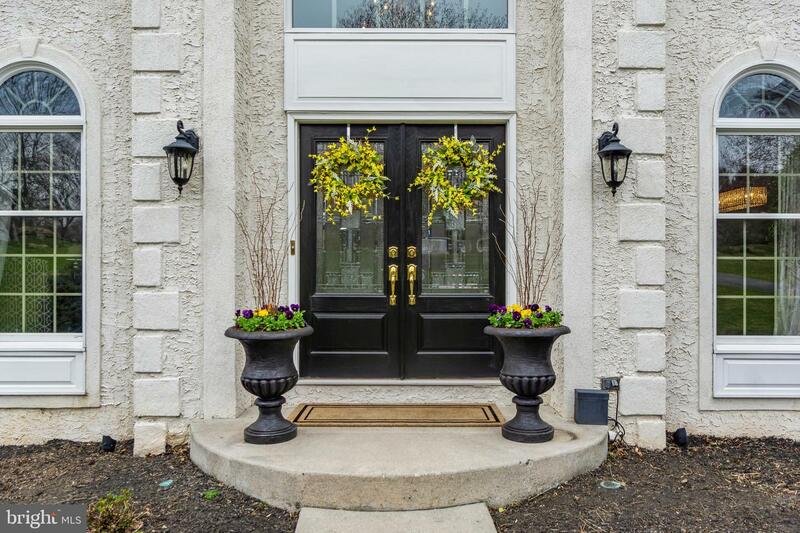 The exterior of the home is immaculately landscaped. 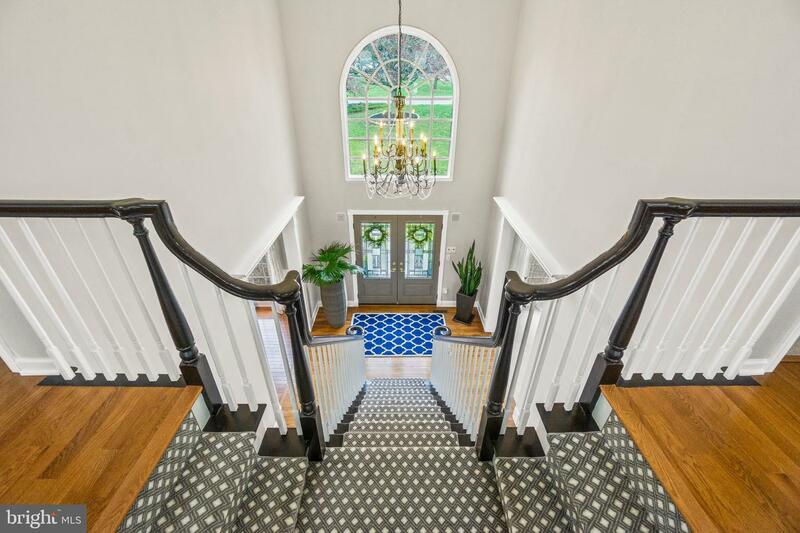 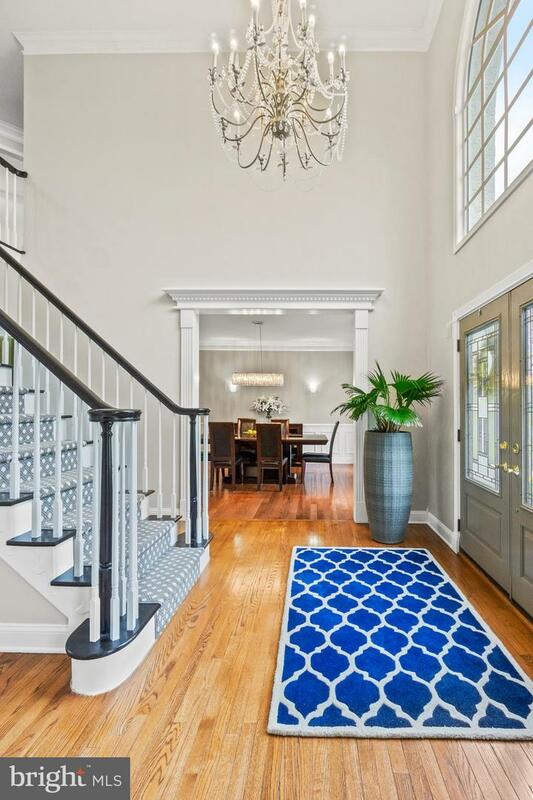 The grand double door entrance opens to a 2 story foyer and stately crystal chandelier. 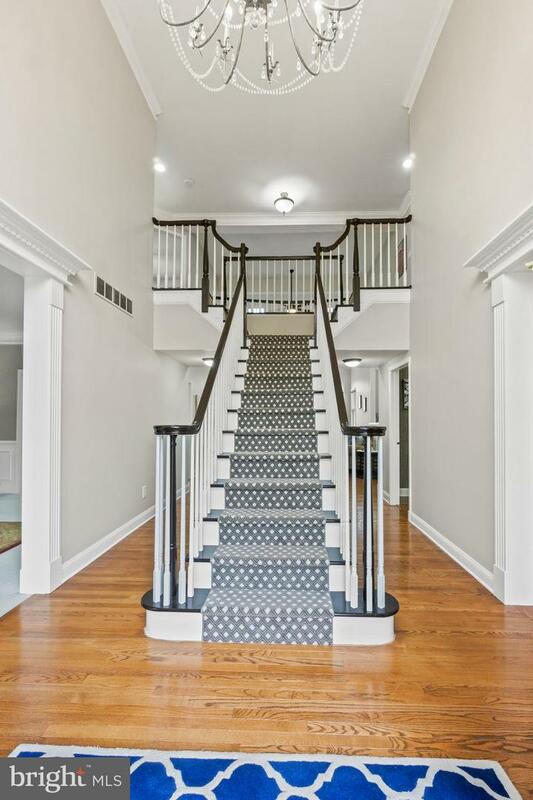 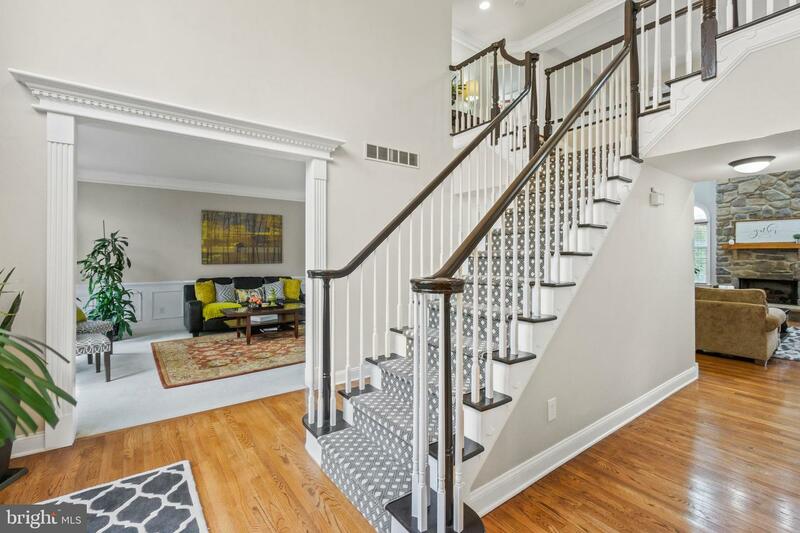 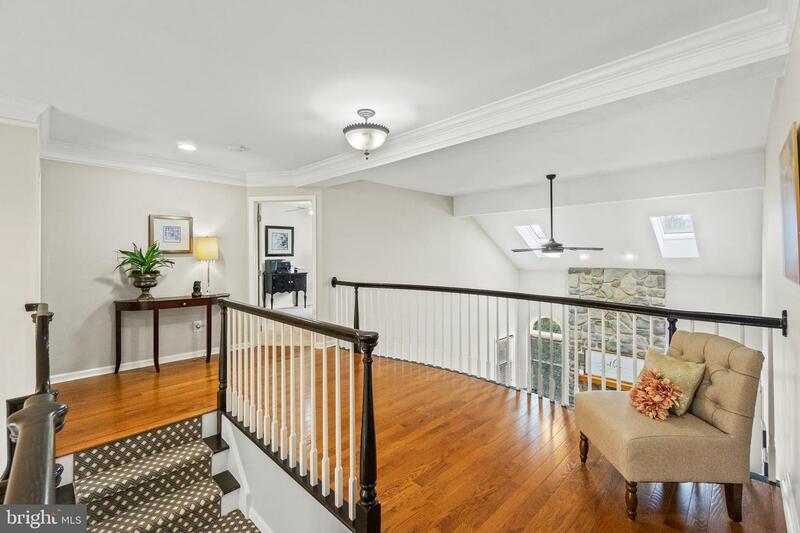 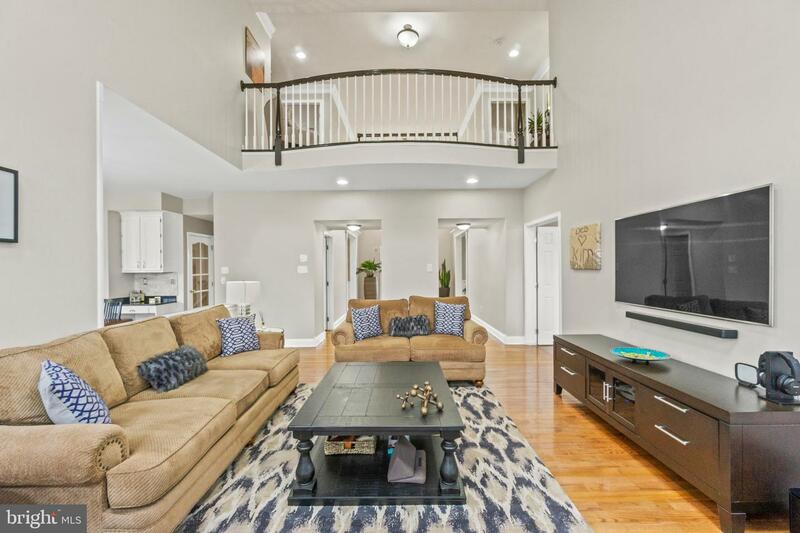 The center staircase leads to a cat walk overlooking the family room which features a stone floor to ceiling gas fireplace with lots of nature light from the surrounding windows and 2 skylights above. 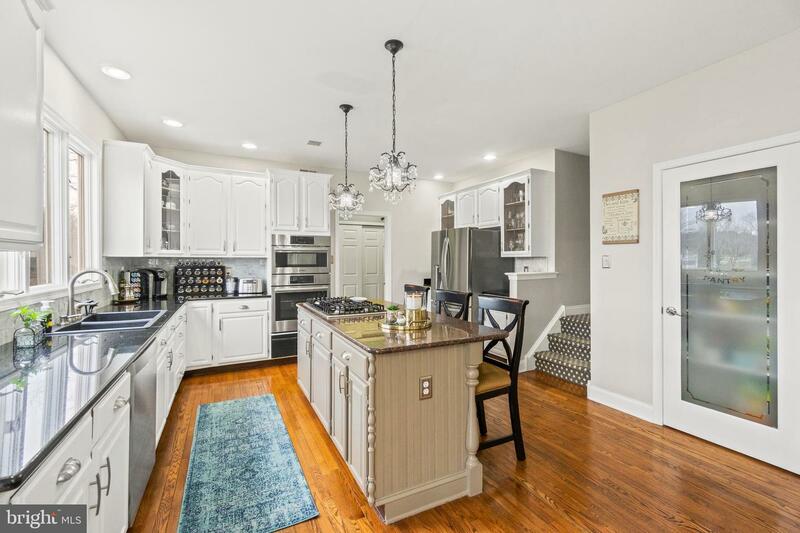 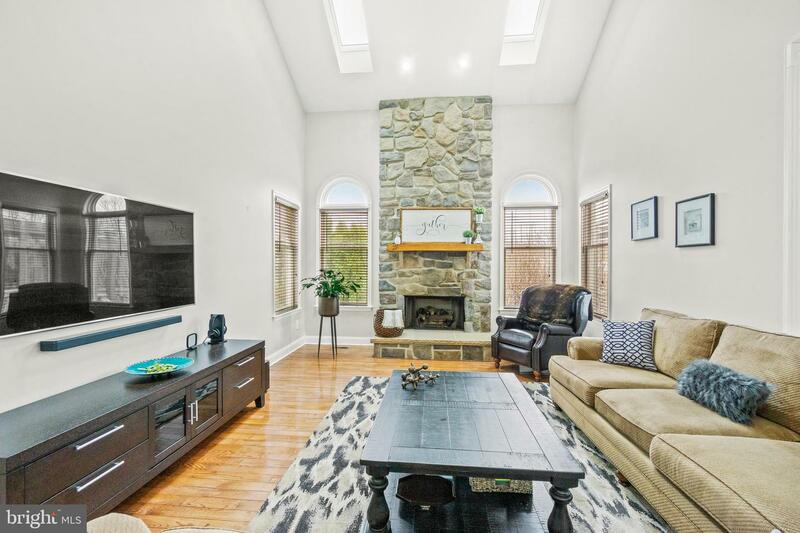 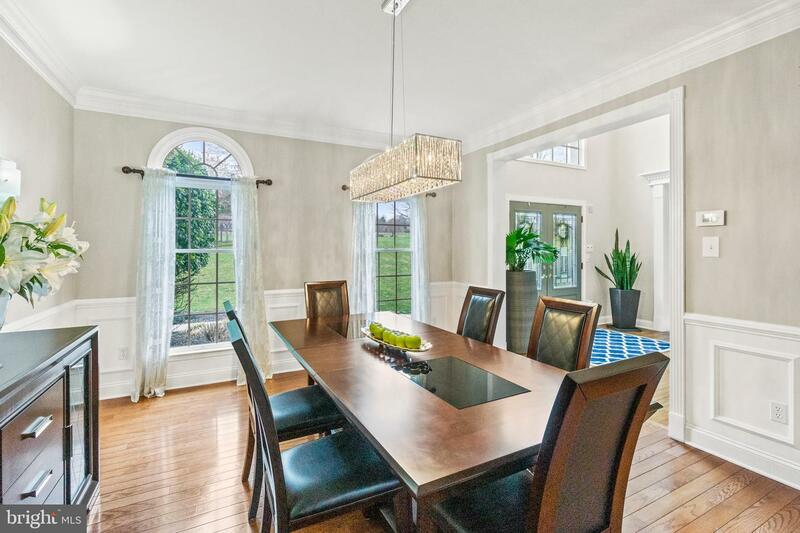 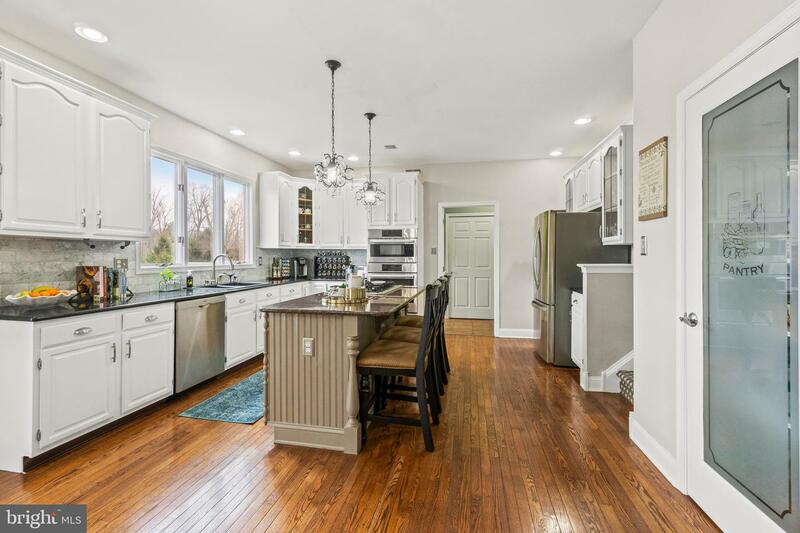 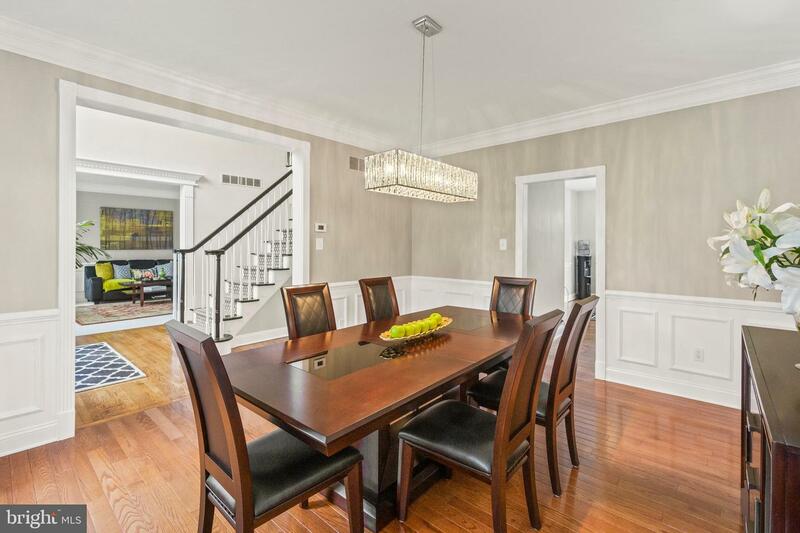 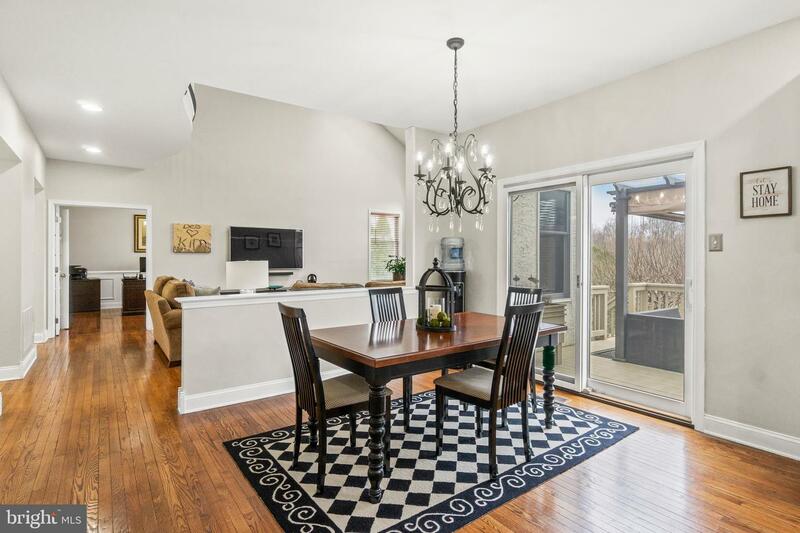 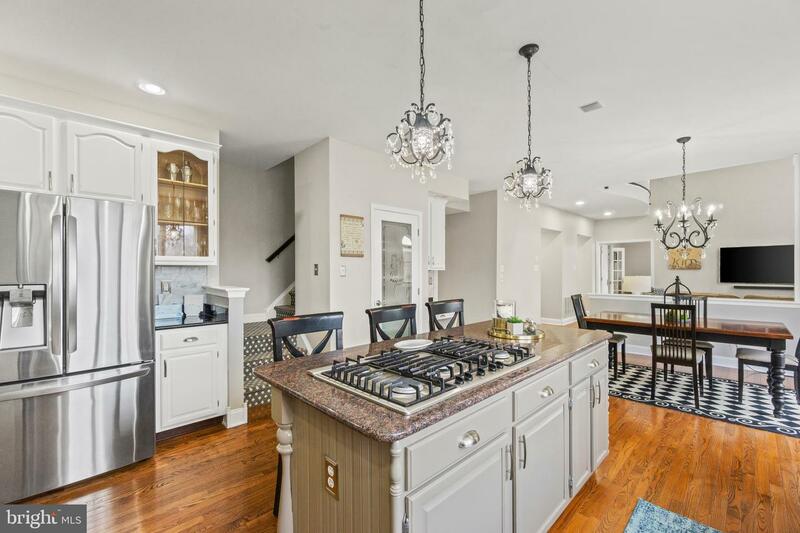 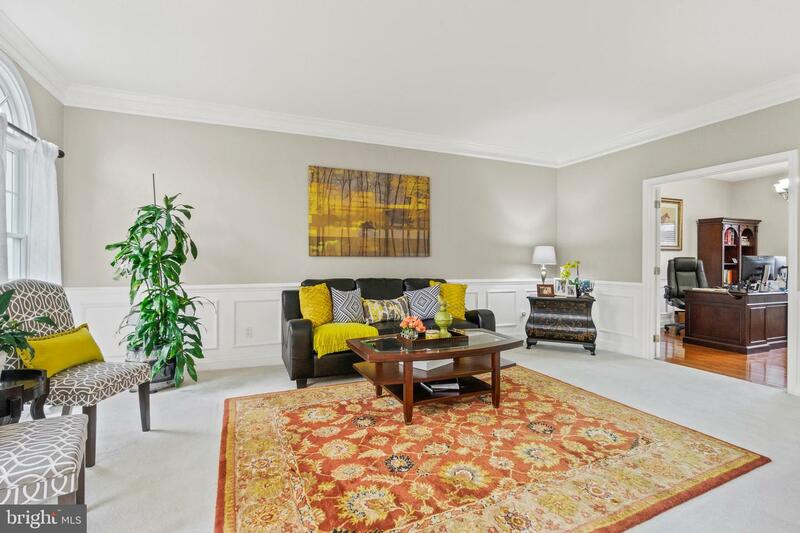 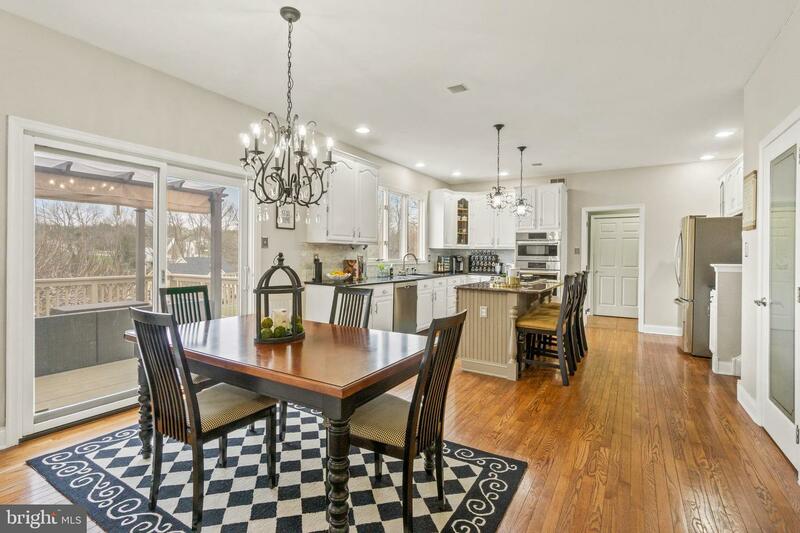 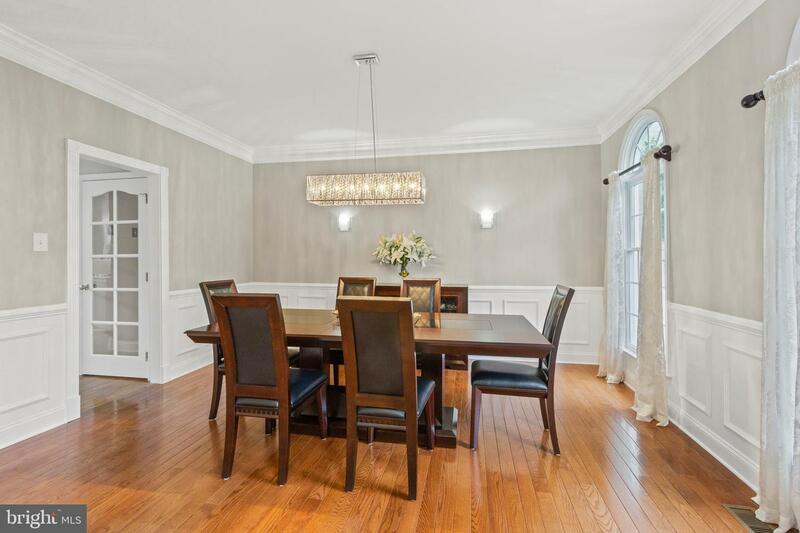 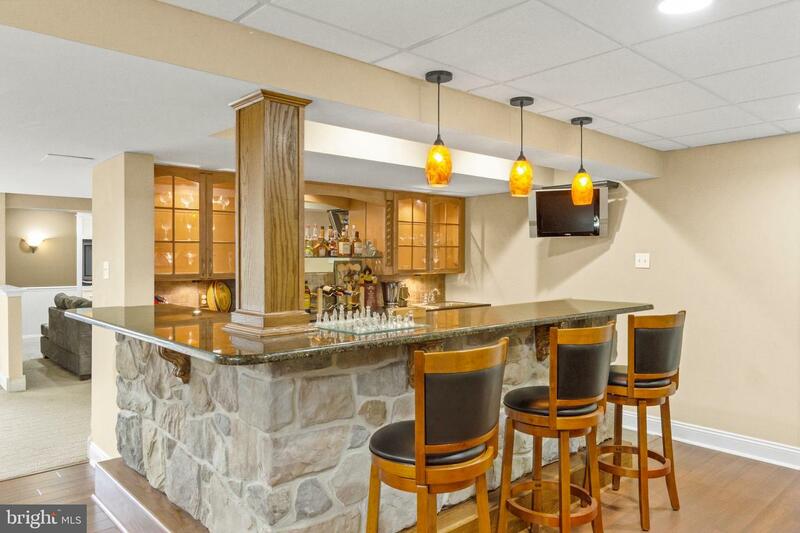 The family room flows directly into the newly renovated kitchen with a breakfast bar area. 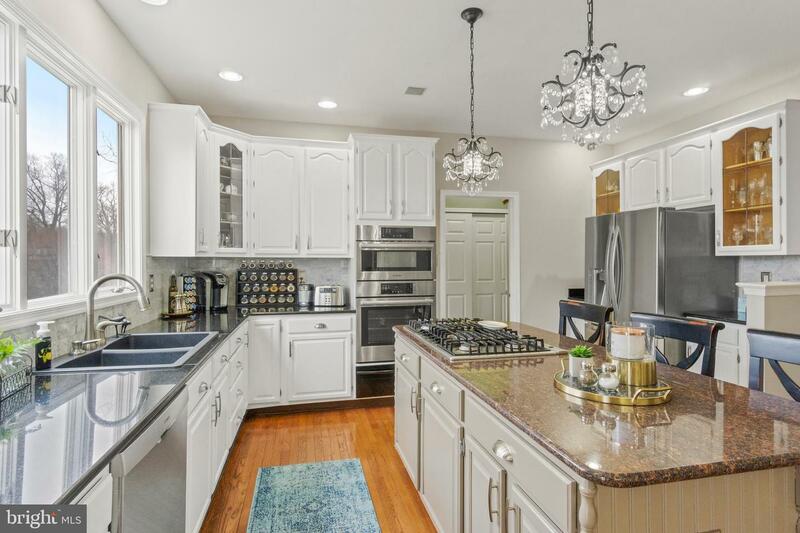 Center Island with gas cook-top, double deep sink, high-end upgraded Bosch appliances, LG smart refrigerator and specially crafted etched glass pantry closet. 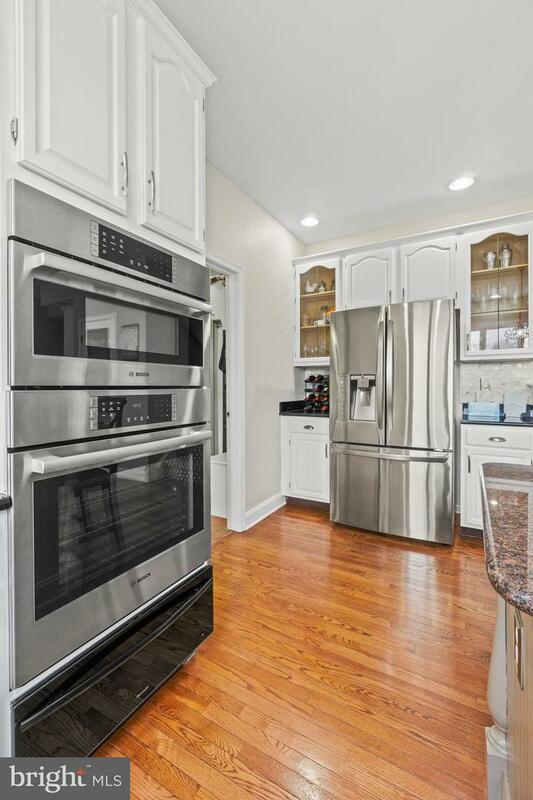 Off the kitchen is the laundry/mud-room with plenty of storage and outside entrance to the deck and access to the amazing 3 car garage (31 x 19.4) with motion-sensor lighting, WIFI garage door openers, and custom garage flooring that can include the industrial cabinets.The first floor has a charming large living room and formal dining room, great for holiday gatherings. 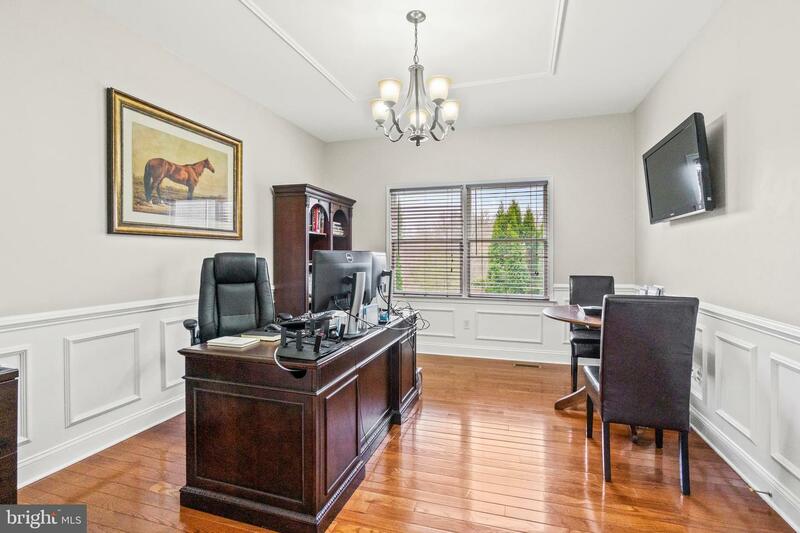 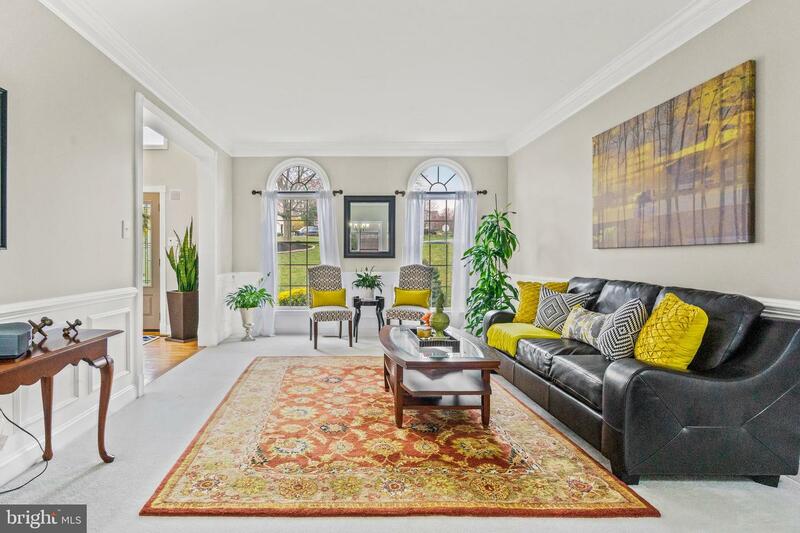 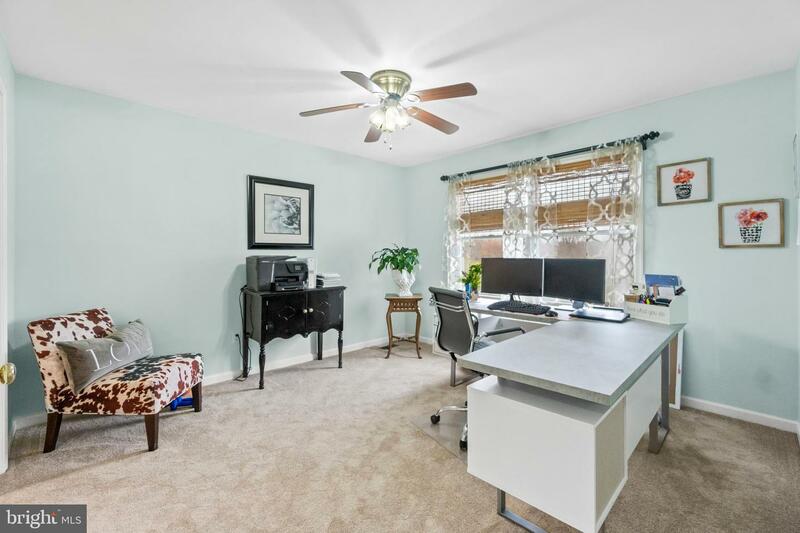 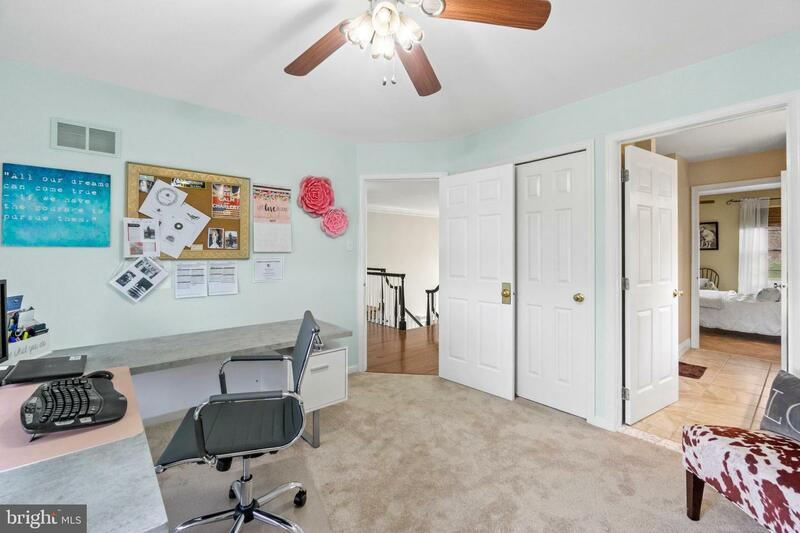 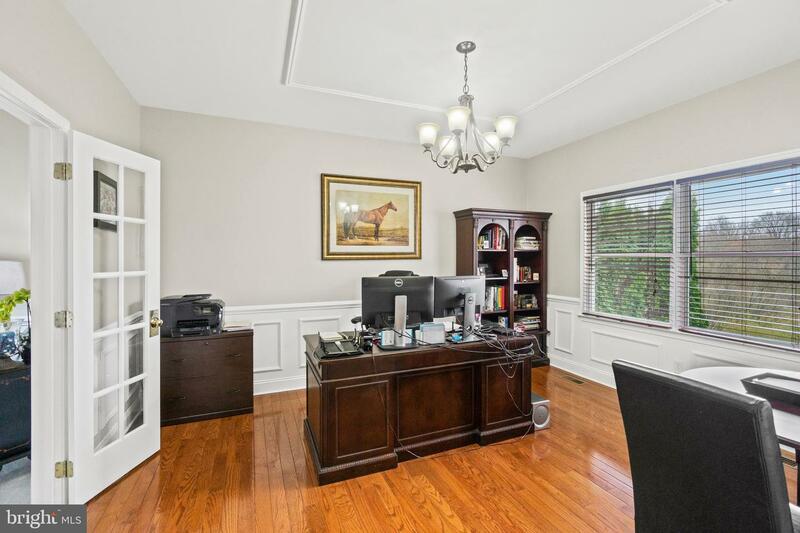 Beyond the living room is a professional office with captivating views, the office has dual double door access from the living room and family room. 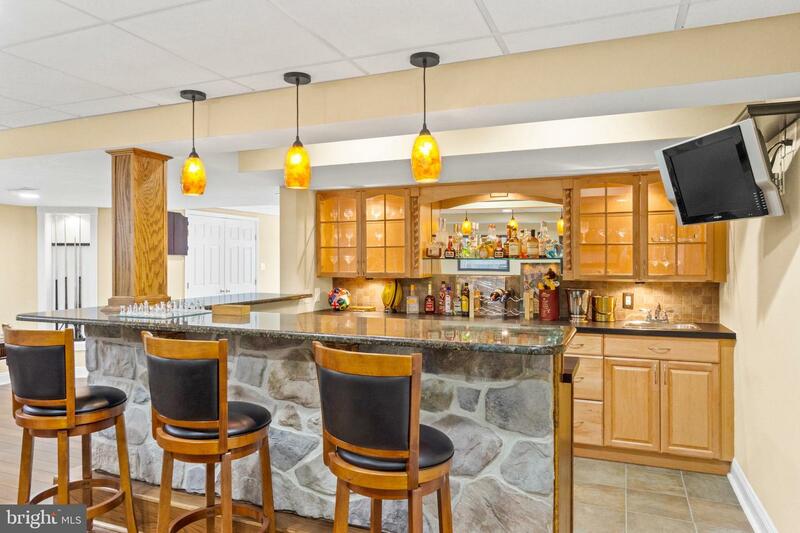 Kitchen sliders lead out to the upper deck where you can enjoy your private pergola with a refreshing cocktail on those warm sunny days. 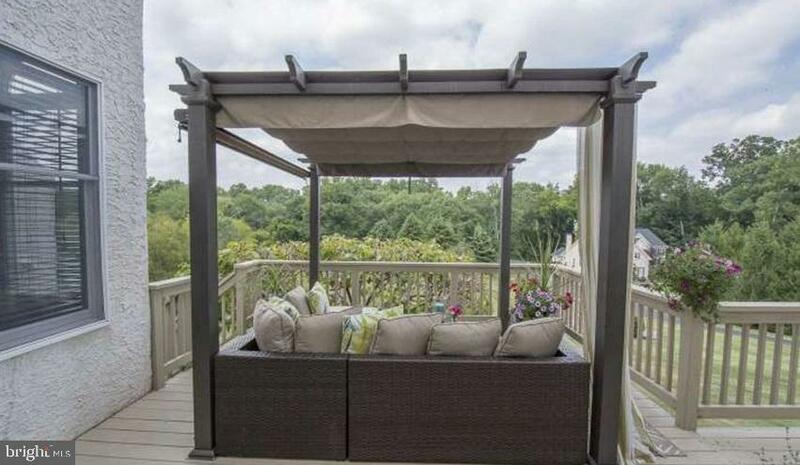 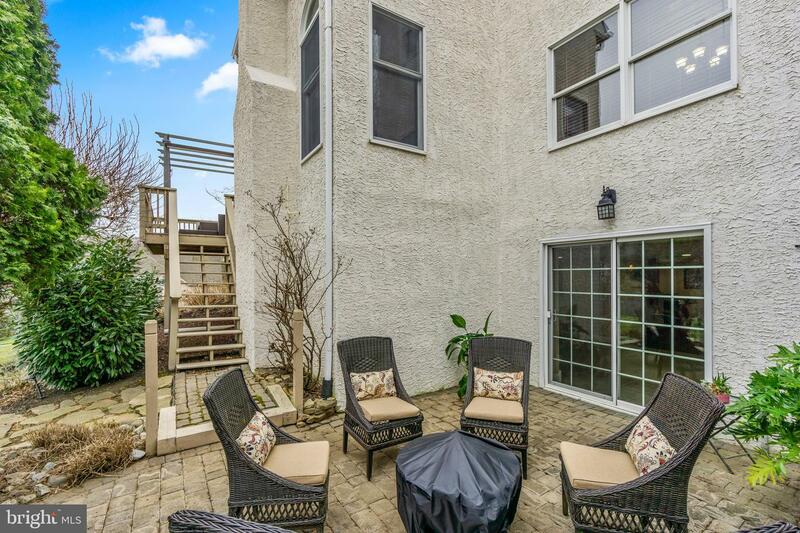 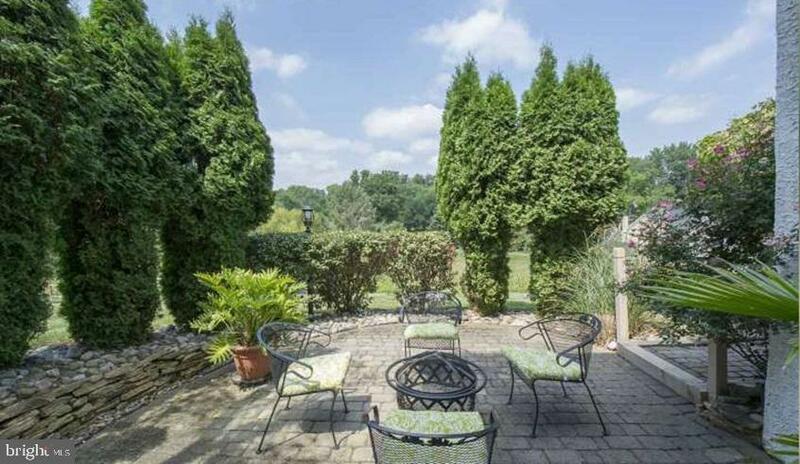 The deck stairs lead down to a secluded paver patio, equipped with a hot tub hook-up. 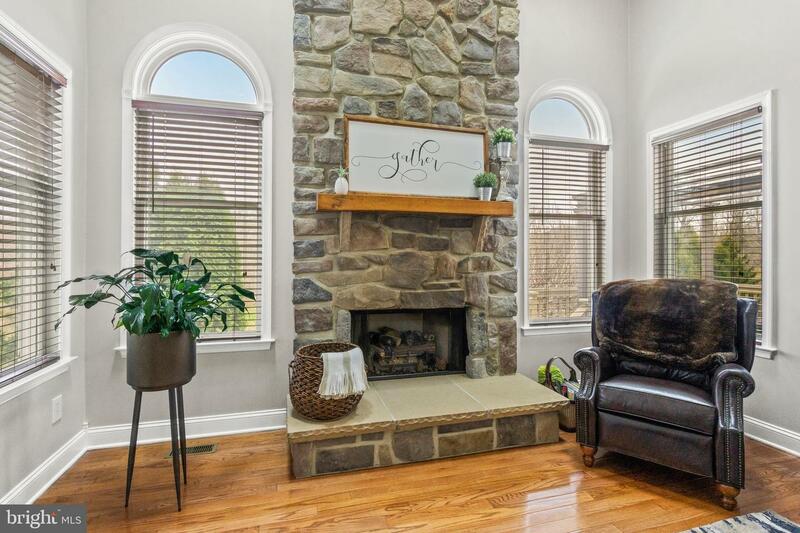 Perfect area to cozy up to a warm fire, or a sleepy Sunday afternoon relaxing in a hammock. 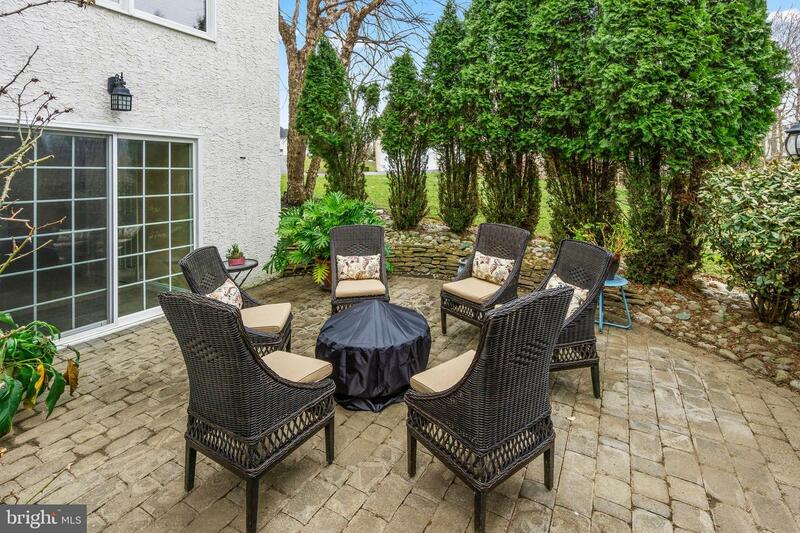 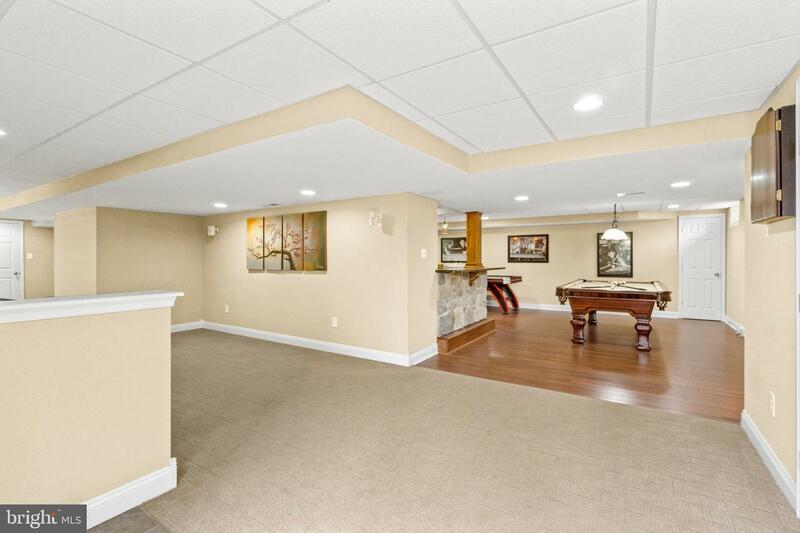 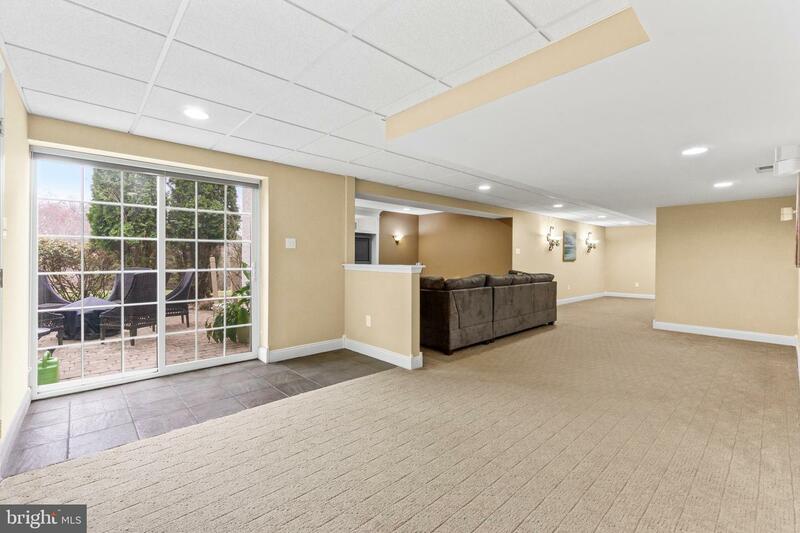 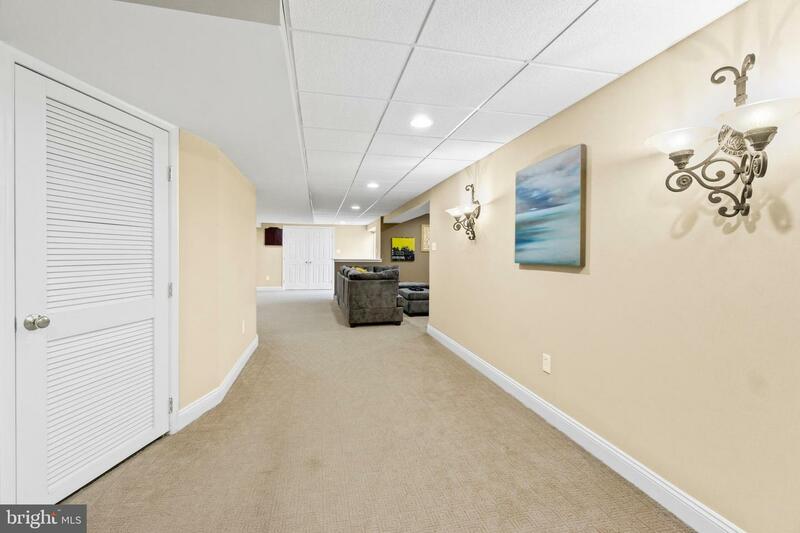 Sliding glass doors from the patio lead into a fully finished basement perfect for entertaining. 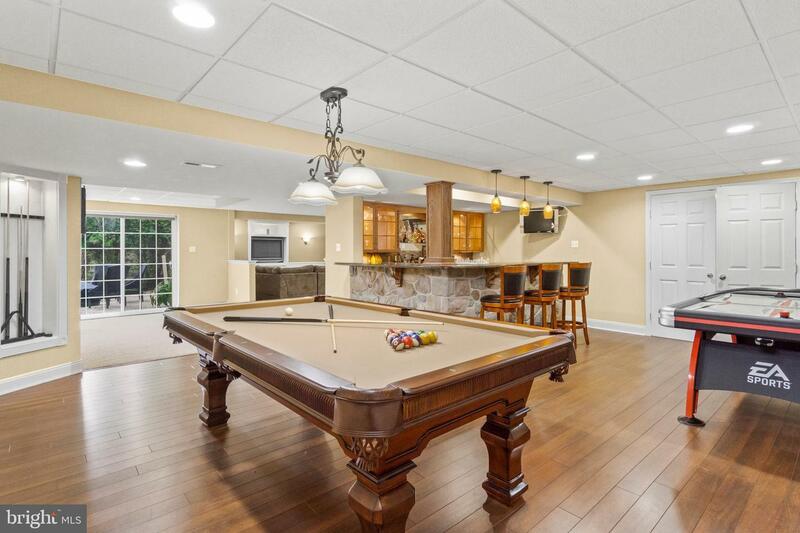 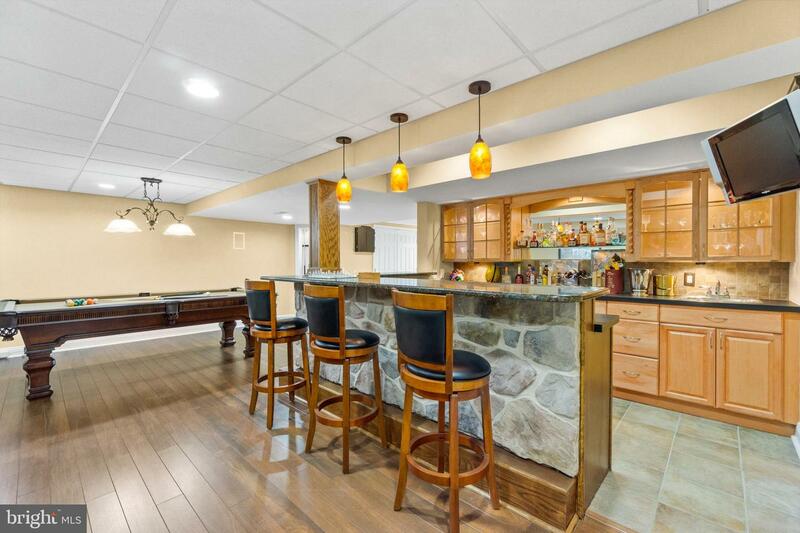 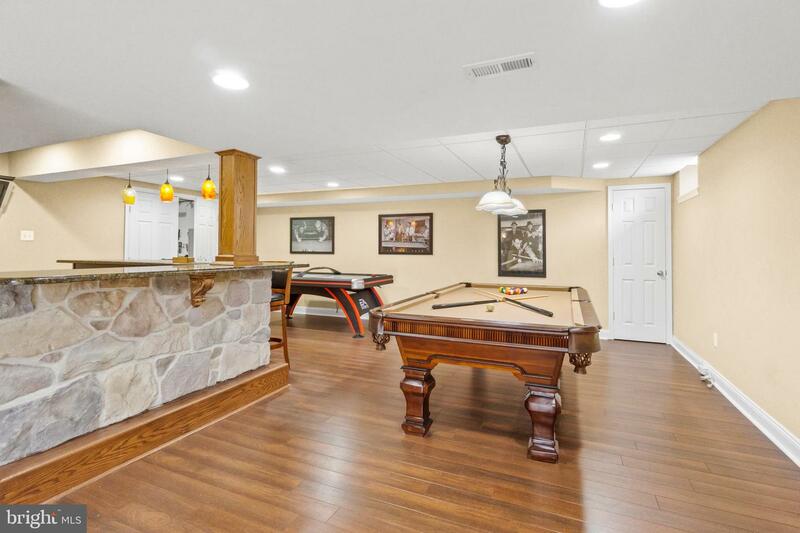 Wet bar with wine refrigerator, game room area for a pool table, air hockey, and darts. 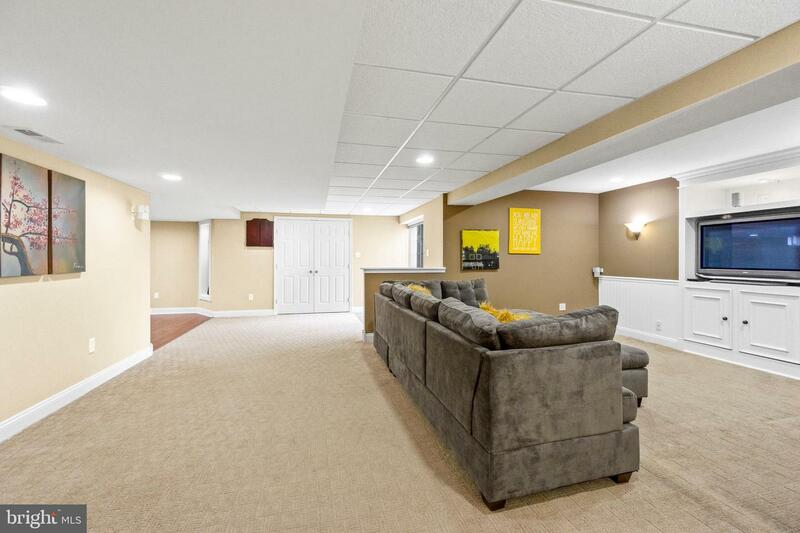 Bose theater surround sound speakers envelop the large entertainment area for a thrilling, cinema-like sound. 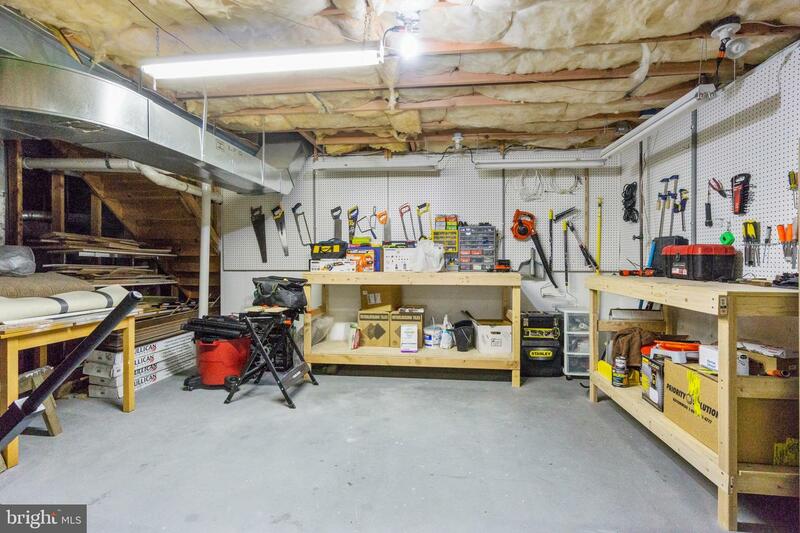 For those that enjoy DIY to crafting to gardening there is a separate workshop area with custom built workbenches. 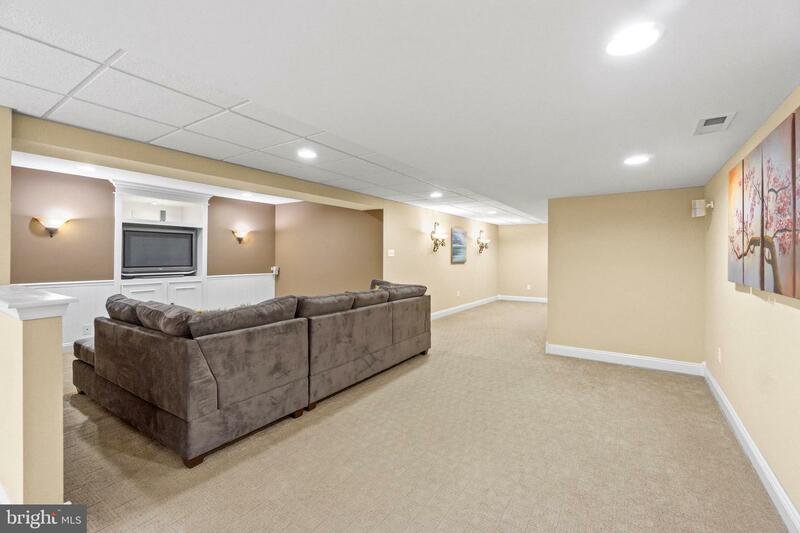 A spacious storage area is also located in the basement. 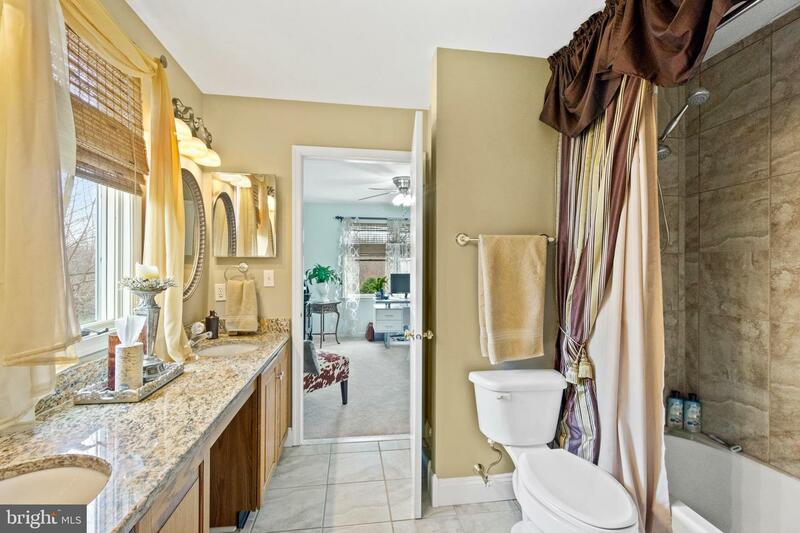 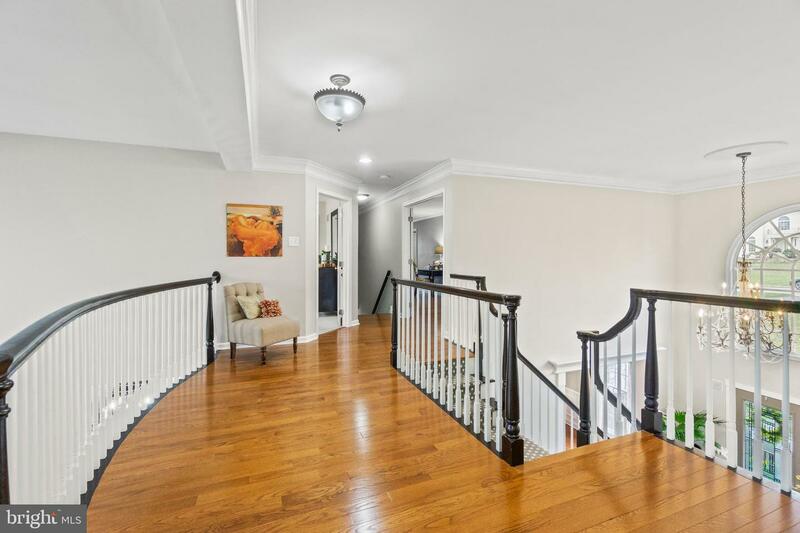 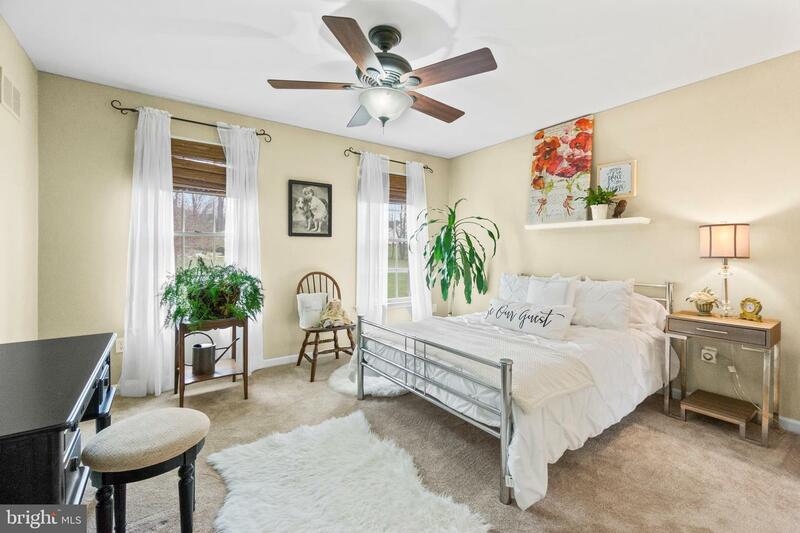 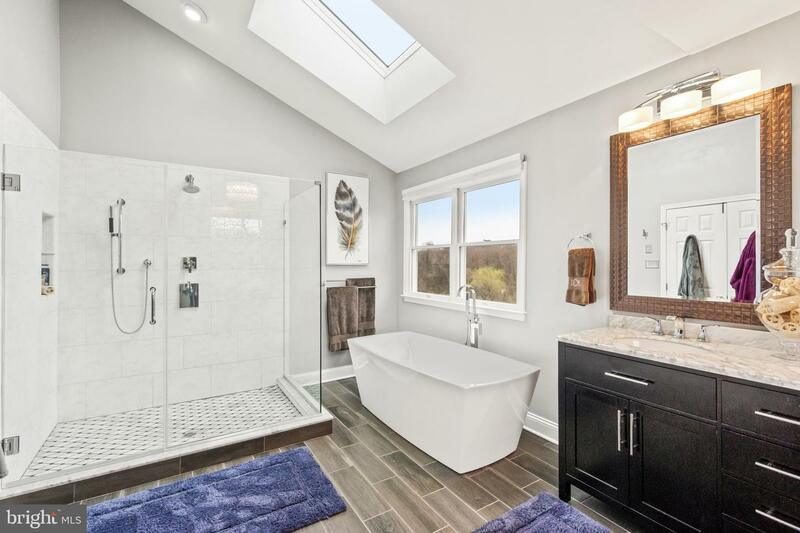 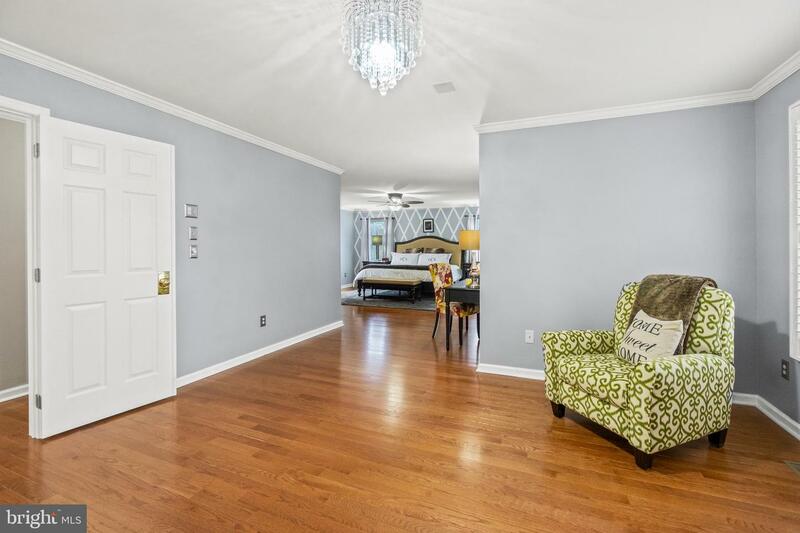 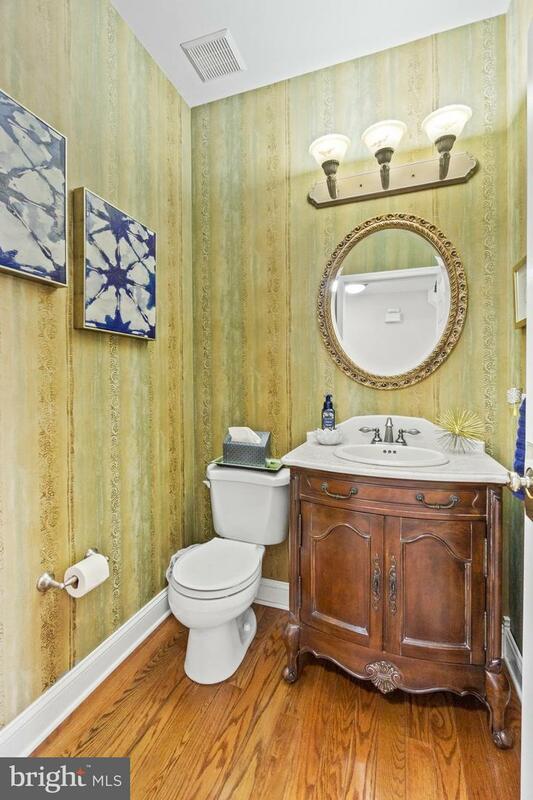 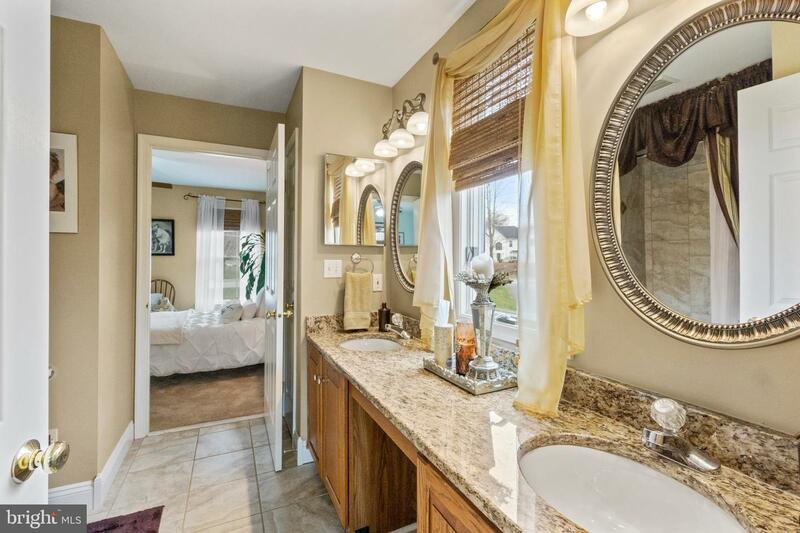 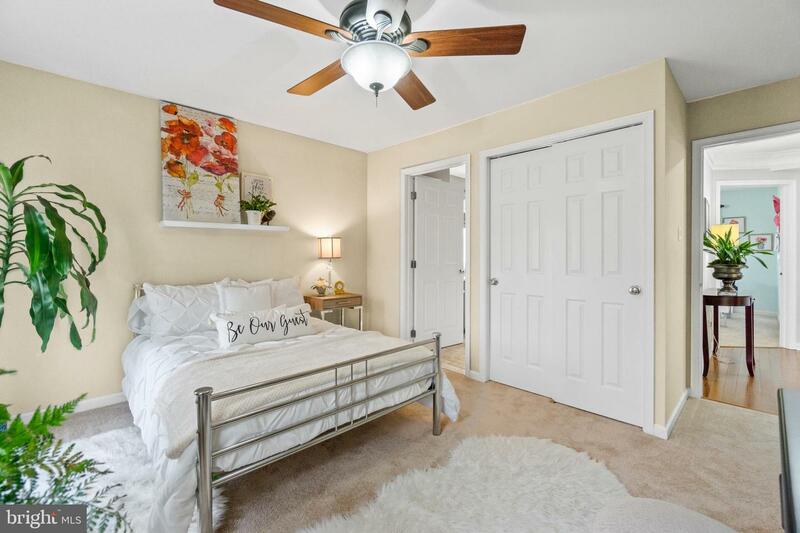 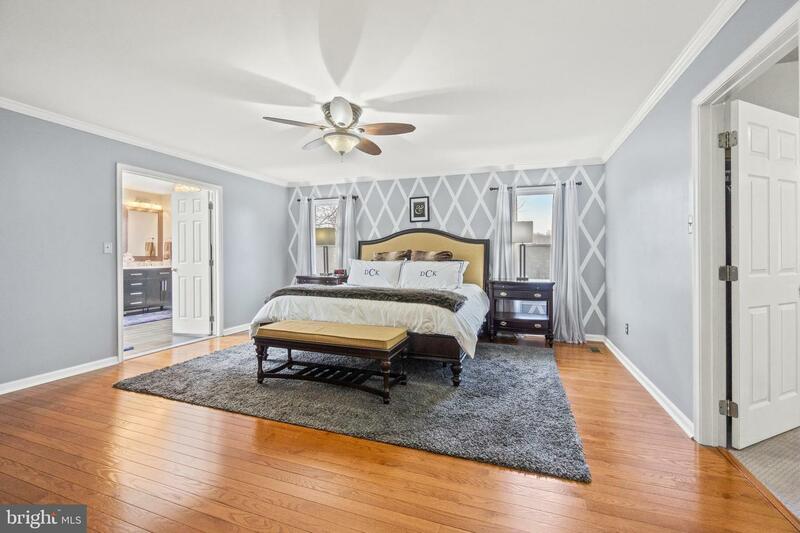 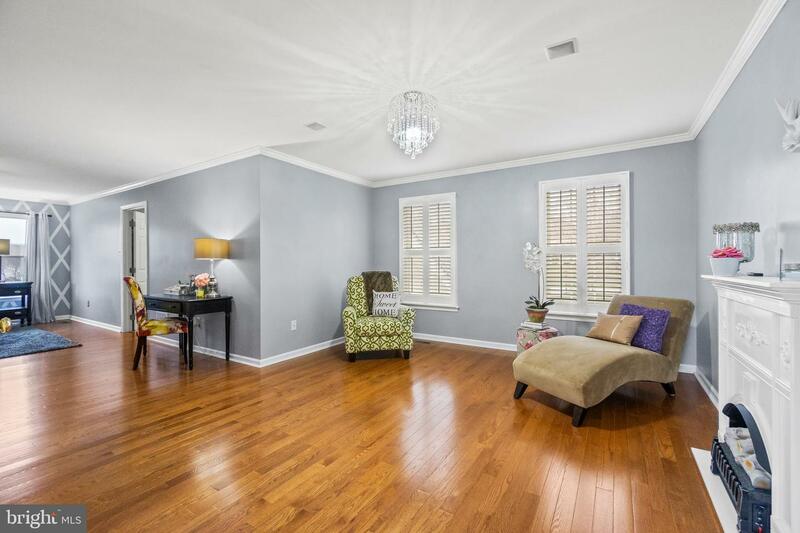 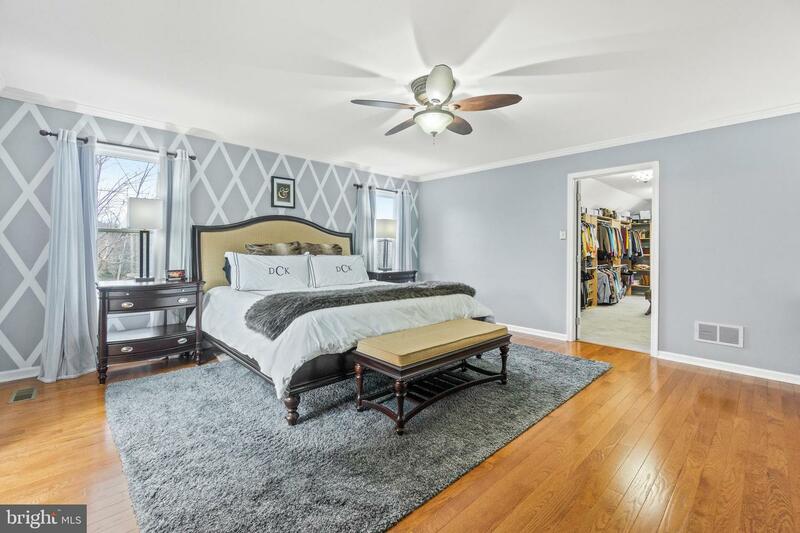 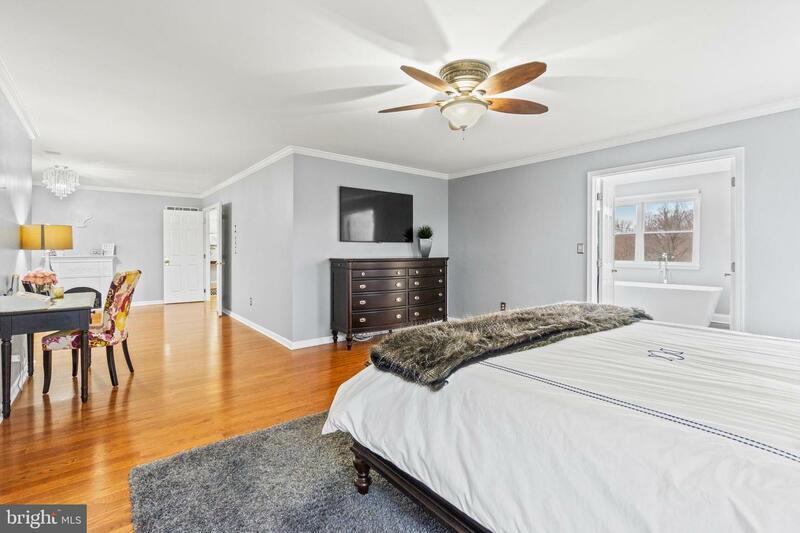 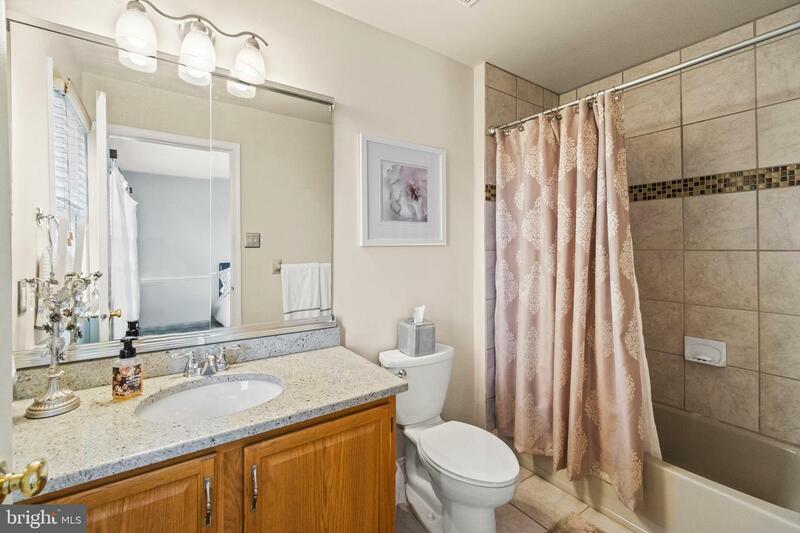 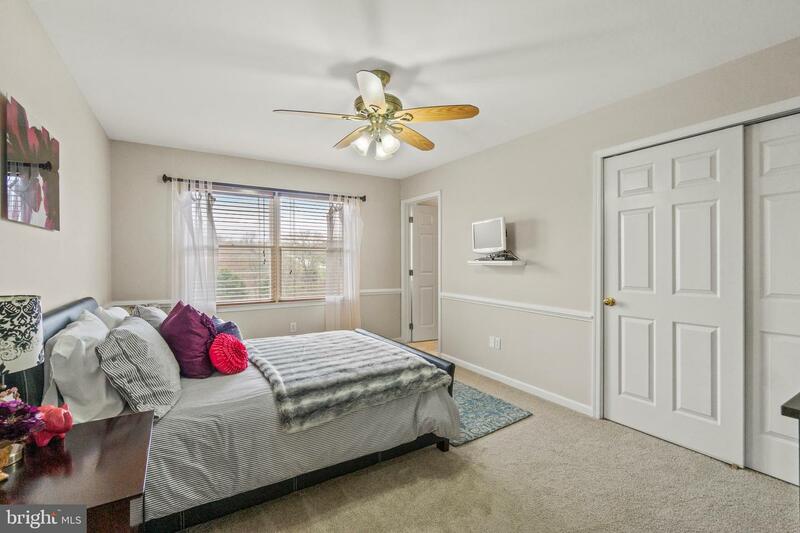 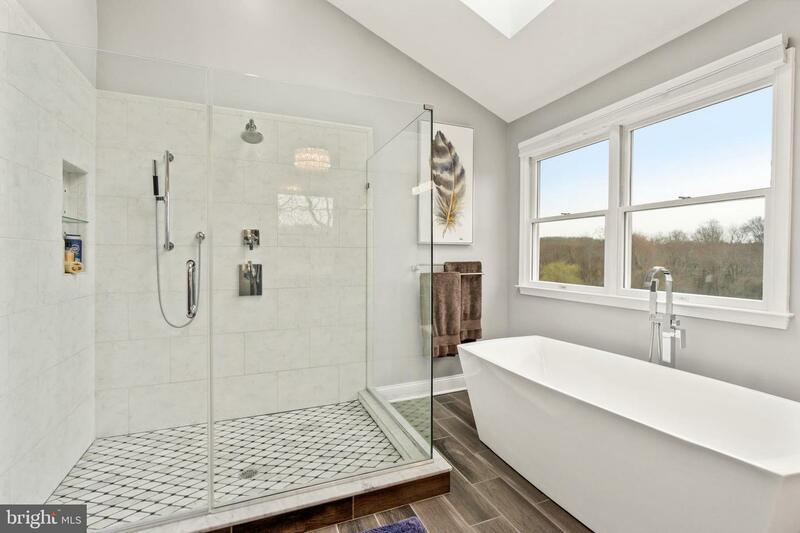 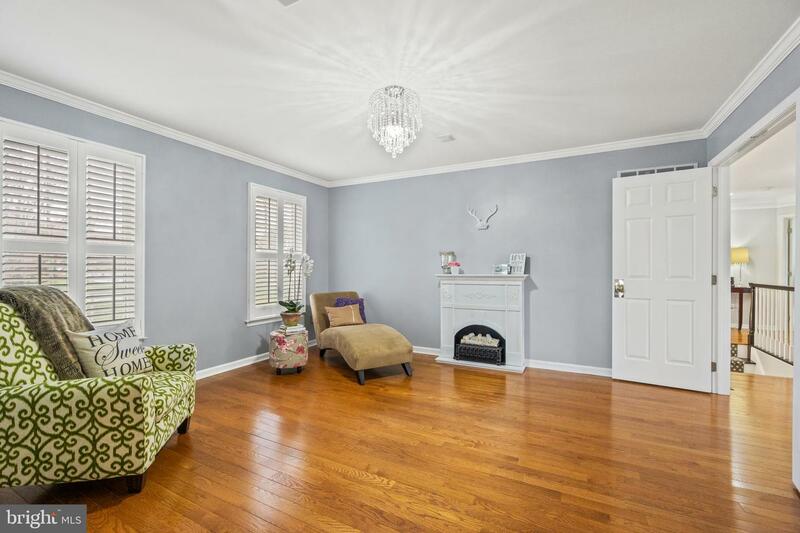 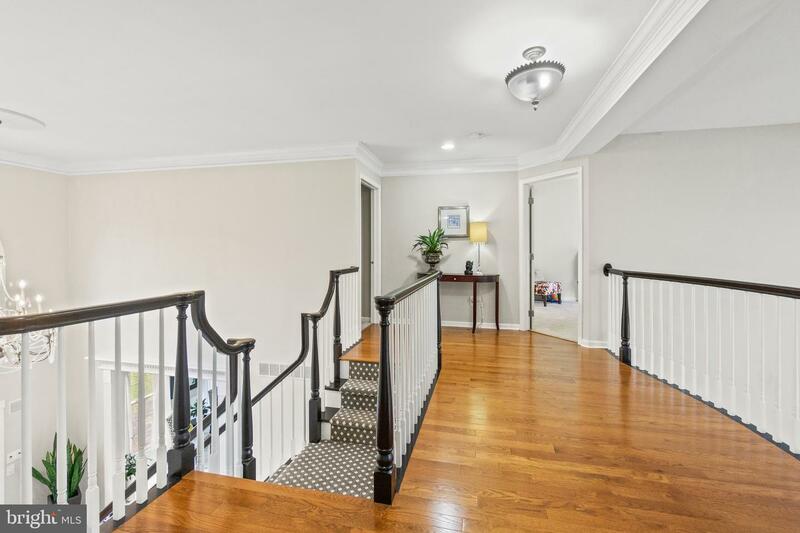 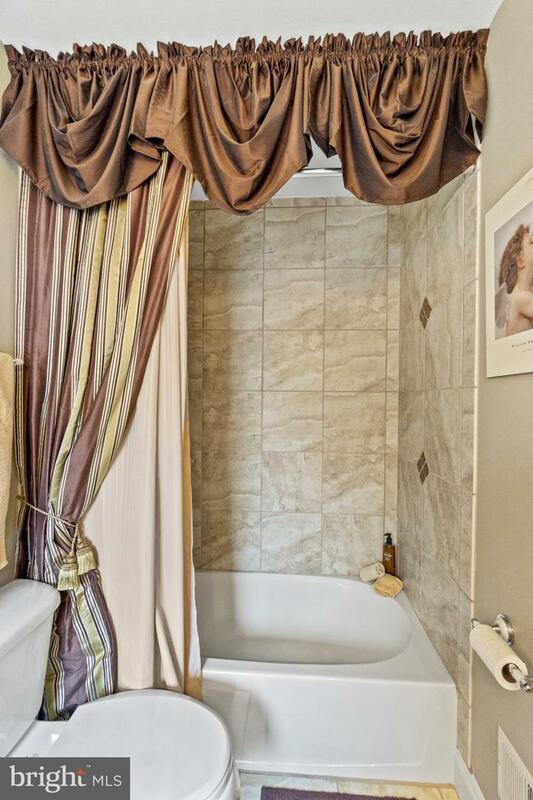 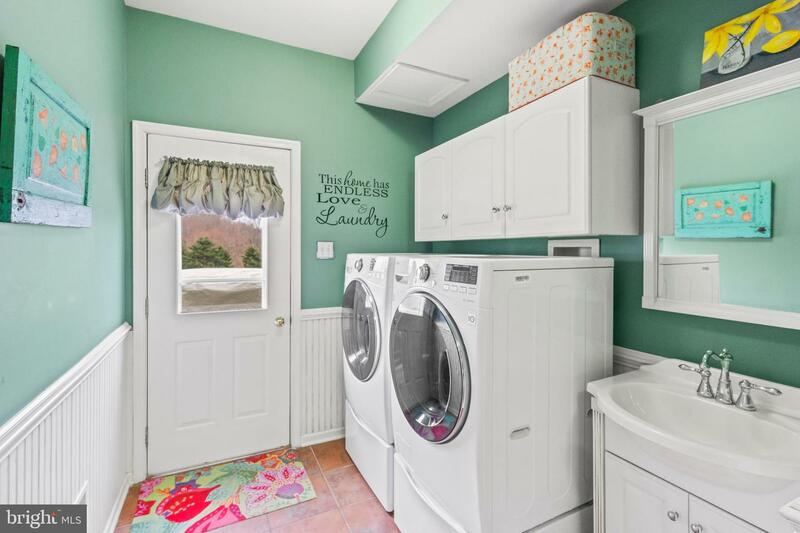 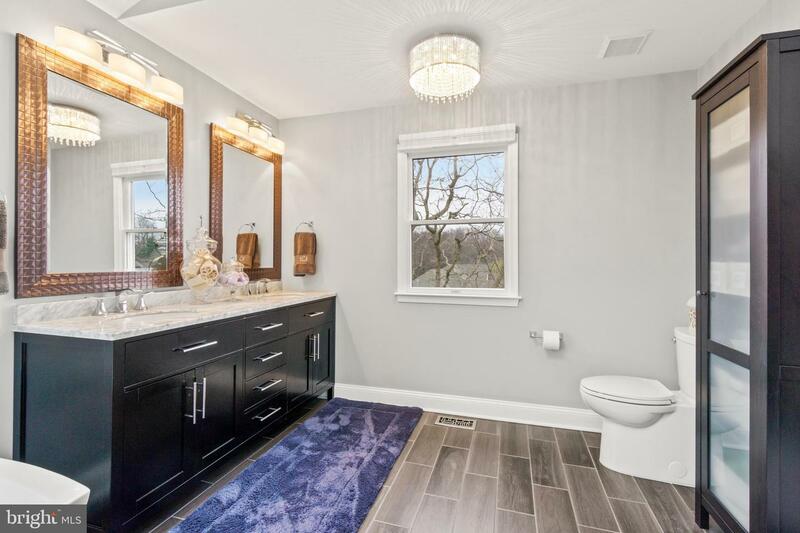 On the second floor you will find the master bedroom suite with hardwood oak flooring, newly renovated bathroom with double vanity, and jetted tub. 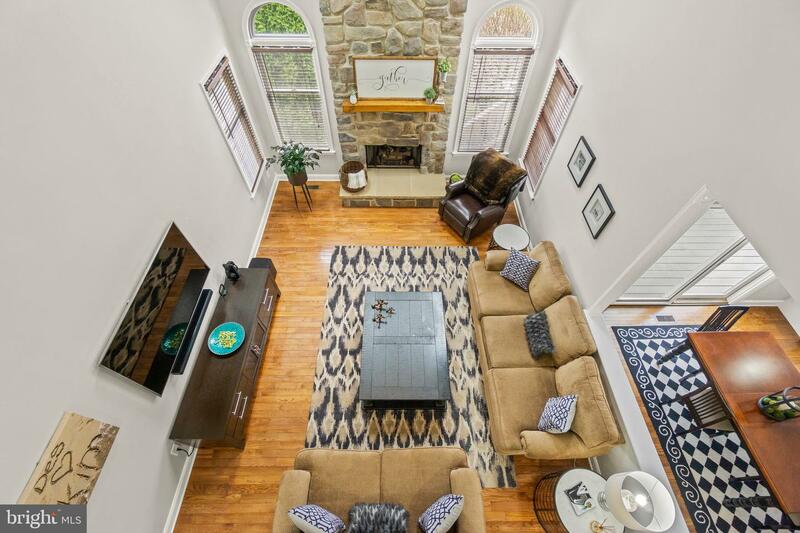 Lots of natural light with many windows including a skylight. 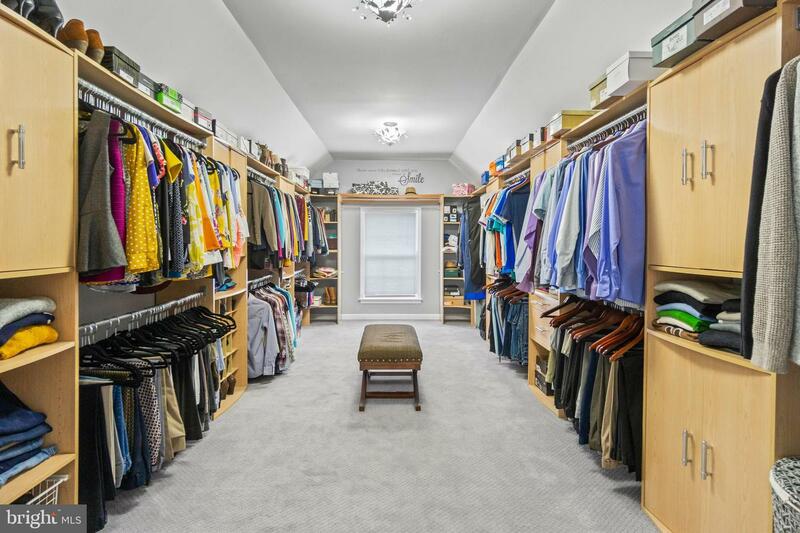 There is a large walk-in closet with custom cabinets. 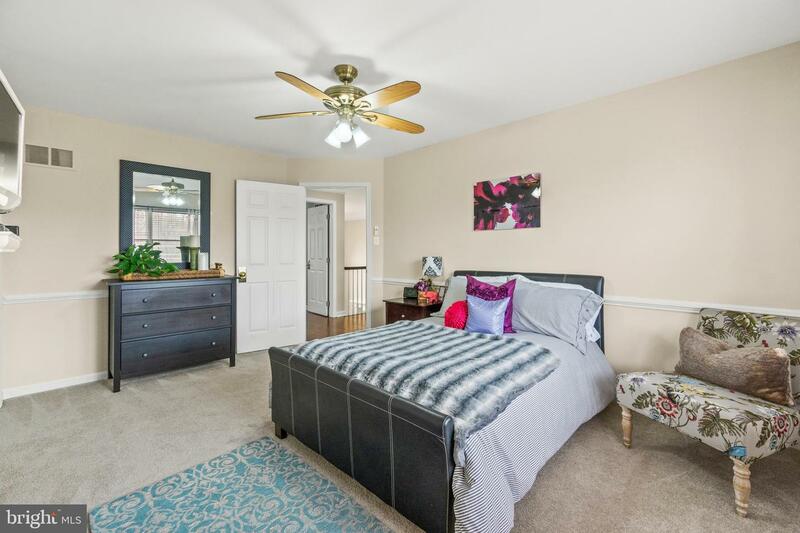 There are 3 additional bedrooms, one of which is a Princess Bedroom with private bathroom, and large slider closet. 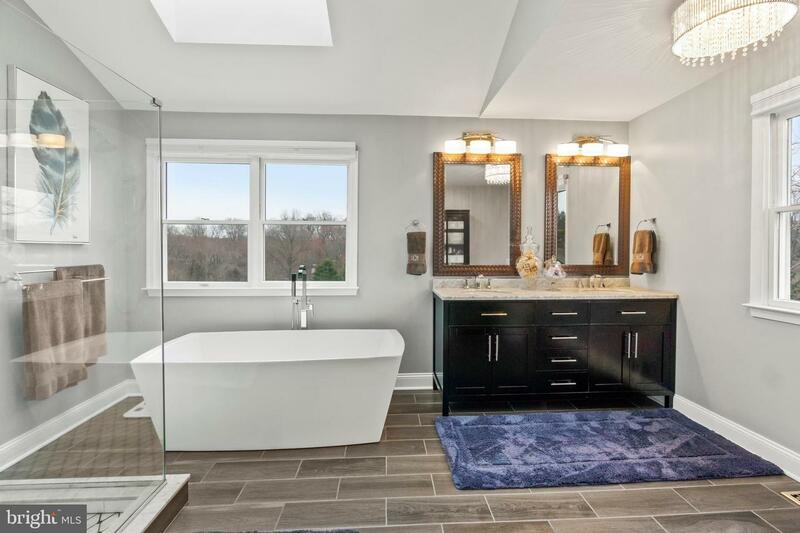 The two other bedrooms share a Jack and Jill bathroom with double vanity.Other features of the home include a large spacious shed for lawn and garden equipment, whole-house generator (negotiable), landscaping lighting throughout the property, dual-zone Trane HVAC system, whole house speaker system, gorgeous exposed hardwood floors throughout, new roof (2017), hardwired smoke and carbon monoxide detectors, upgraded lighting throughout, WIFI thermostats, high grade window treatments. 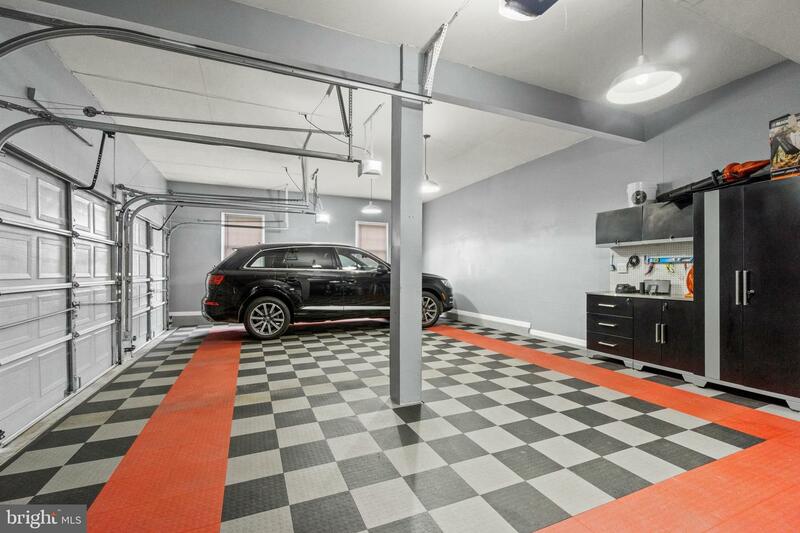 Everything is negotiable for this transaction.